Today is all about playing catch up over here! Planning projects, finishing projects, shopping, errands, oh and taking care of the fam… you all get it! It’s been a busy week and with only 5 days left before October hits (and the holiday rush! ), I need this catch up day so badly! We’re also working on a super exciting launch and addition to Sugar and Charm next month! I’ll be buried in my computer finishing last minute details! 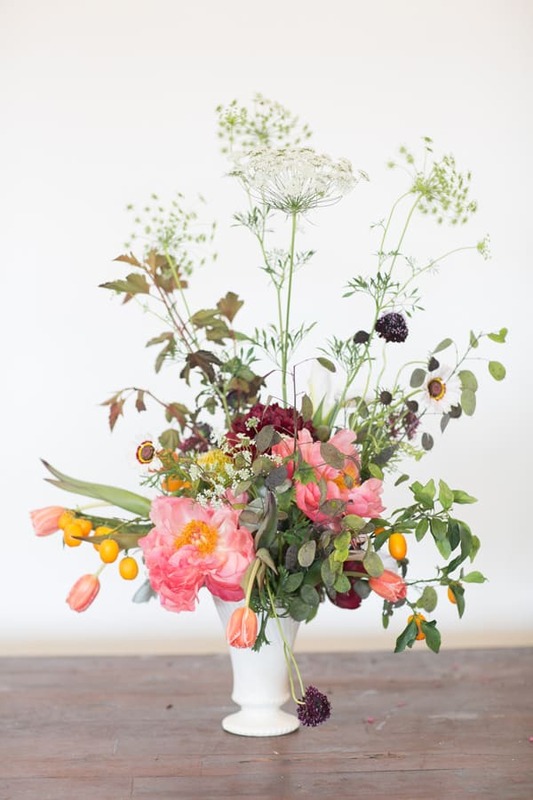 So today I’m sharing this gorgeous arrangement by Velvet Leaf Studio that I shot for Snap Class a few months ago. I hope you’re all having a wonderful week! 2 responses to Florals + Catch-up! that’s such a pretty arrangement! !